In just over 30 years, Cream City Foundation has grown from a small seedling to a full-fledged, million dollar organization. Cream City Foundation is Southeastern Wisconsin’s LGBT community foundation, bringing donors and nonprofit organizations together to support the wellbeing of LGBT people. President and CEO Peter J. Holbrook, along with Eddie Lupella and Emmet Liston, mobilize the philanthropic resources necessary to proactively address the human rights and needs of the community. 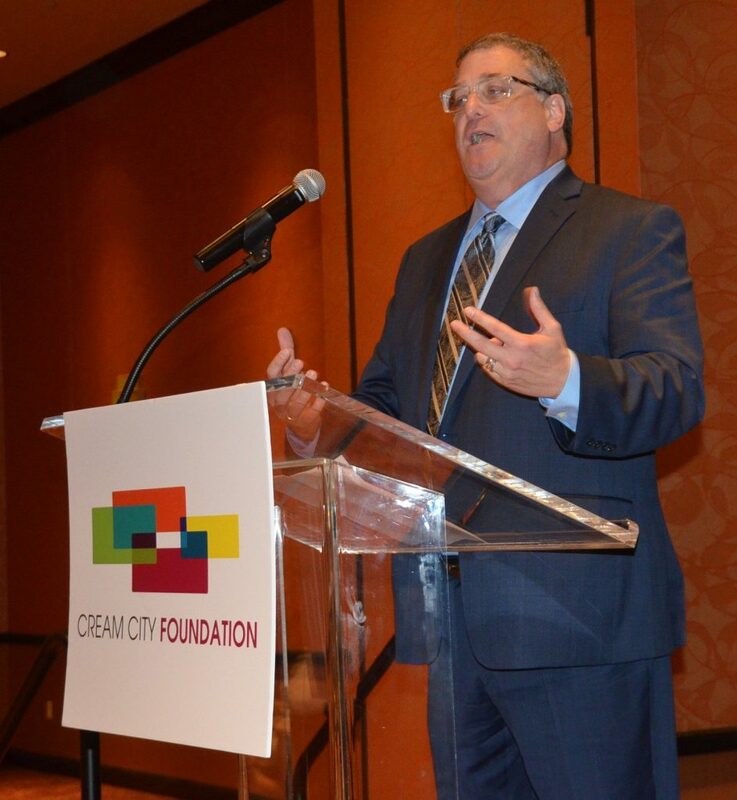 Among raising money from individuals and corporations to fund direct service and advocacy organizations, Cream City Foundations also creates strategic collaborations and partnerships to identify effective solutions for the LGBTQ+ community. Throughout all endeavors, Cream City Five remains attentive to their five most important values: Inclusion, stewardship, integrity, partnerships and commitment. With these five tiers, Cream City is able to remain transparent, dependable and active in the LGBTQ+ community. As of now, one of their project highlights, partnered with BMO Harris Bank and Husch Blackwell, is building future LGBTQ+ leadership with their scholarship program that will support students who exhibit a commitment to the LGBTQ+ community and pursuing post-secondary education. Cream City is also working on a research project with Marquette University where they interviewed area groups that handle different aspects of the LGBTQ+ community to asses the needs of the community. For more information on how to give or participate in the Cream City Foundation mission, visit their website at CreamCityFoundation.org.